It’s been almost a year since I visited Toronto. I’d like to share a few of my favourite photos from my visit. 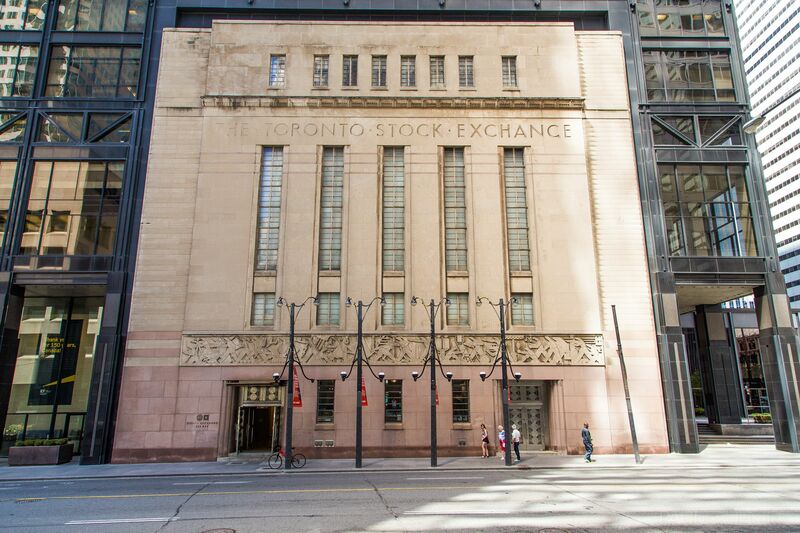 The original facade of the Toronto Stock Exchange looks a little out of place as part of the much larger, new structure behind it, but it certainly adds character. 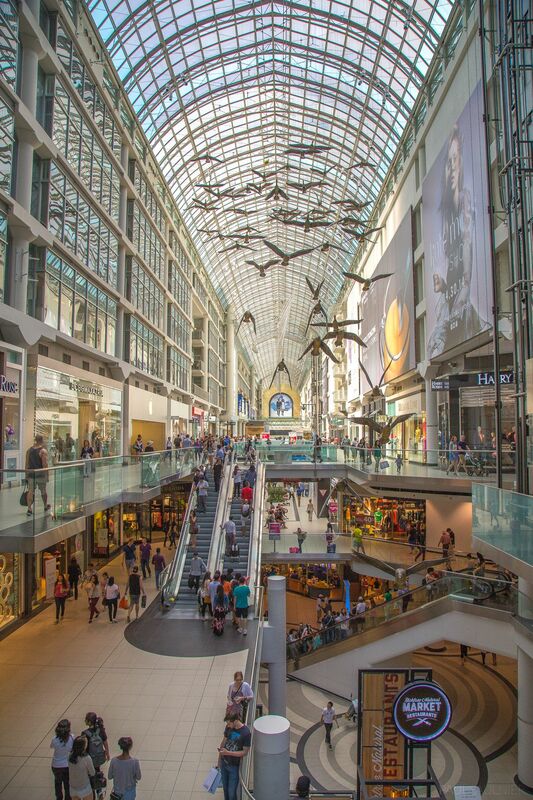 Toronto’s iconic Eaton Centre is a massive shopping complex. Sears had just closed a few months before my visit, along with a few other flagship locations in Canada. 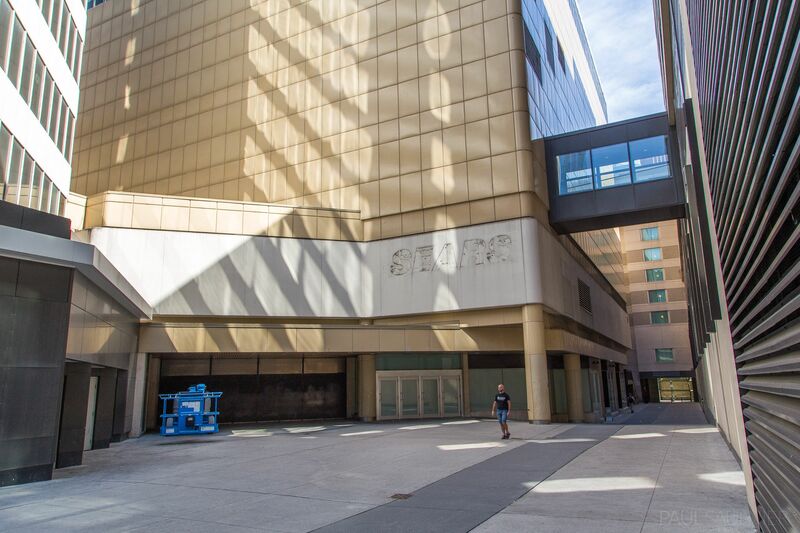 If you look very closely, you can also see the logo outline of “eatons” which once occupied this space. 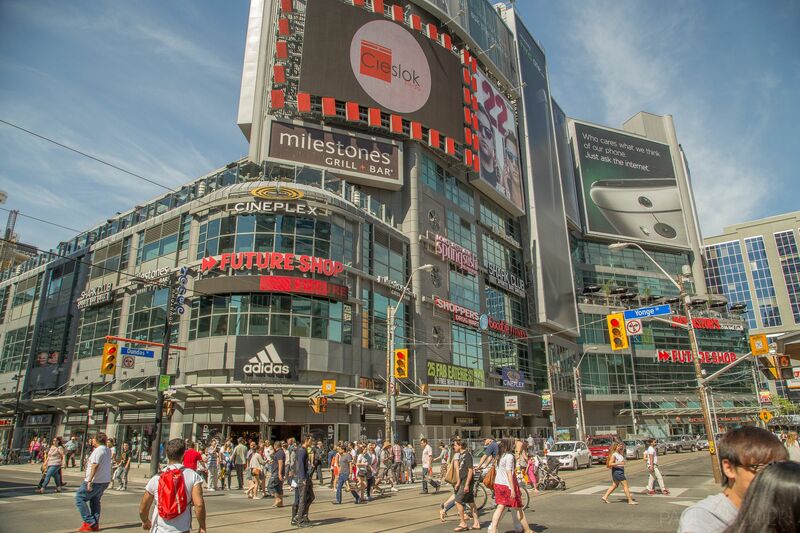 What makes a big city feel like a big city? Toronto has tall buildings, but they aren’t visible in this photo, yet it still looks like a major city centre. It’s the big billboards and corporate logos plastered across buildings which makes me, at least, think “big city”. 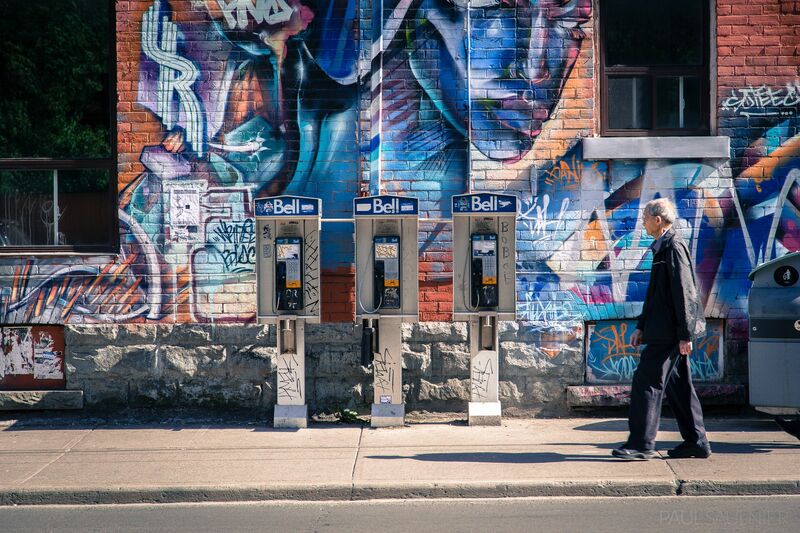 It’s rare to see this many payphones anywhere now. 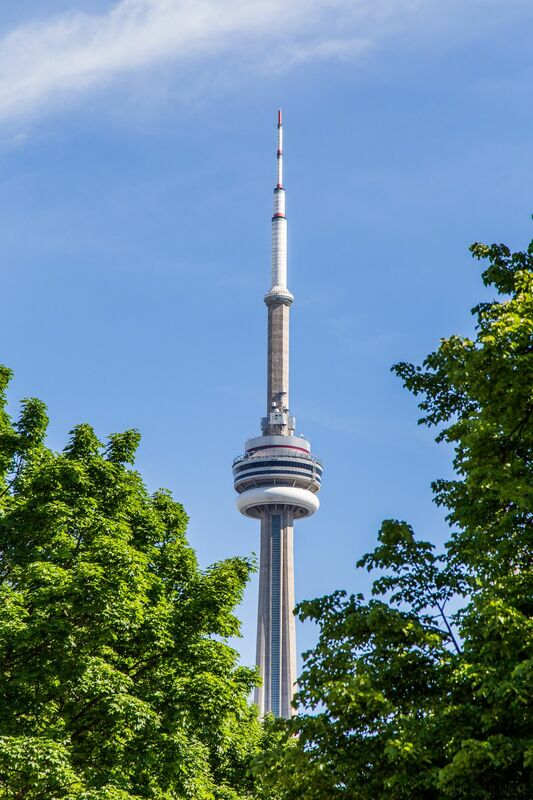 The iconic CN Tower rises above the trees in this city park. 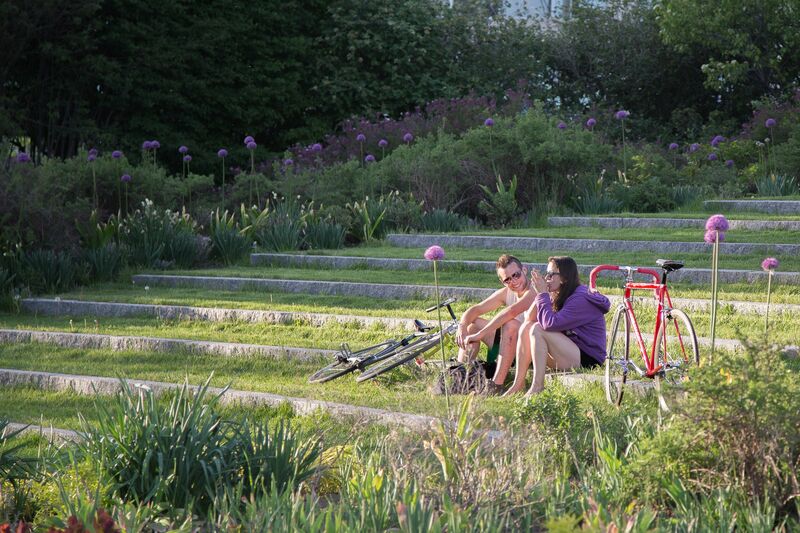 A couple relax near the waterfront.